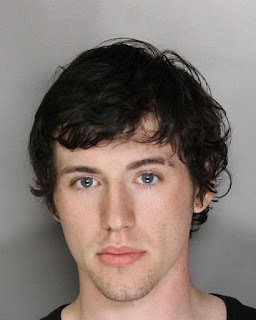 This afternoon the Sacramento Sheriff's Department arrested a suspect in connection with a stabbing incident that left one man dead last night. Today Sheriff’s Homicide detectives arrested Nicholas Joseph Scott on suspicion of the murder of an 18-year-old man in Rio Linda on May 1, 2017. At little before 7:00 p.m. on May 1, 2017, the Sheriff’s Communication Center received a 911 call regarding someone who was stabbed in the 6700 block of West 2nd Street in Rio Linda. Deputies arrived on scene and located an 18-year-old male victim suffering from a stab wound to the upper torso. Deputies immediately began life saving measures. The Sacramento Metro Fire Department responded and transported the victim to a local hospital in critical condition but later succomed to the injuries and pronounced deceased at the hospital. Deputies located Nicholas Scott inside the residence after they arrived. He had major injuries to his hands, and was also transported to a local hospital for medical treatment. Detectives learned there were past issues between the suspect and the victim. The victim arrived at Scott’s residence and a physical altercation ensued. Scott stabbed the victim in the upper torso during the altercation, causing the fatal injuries. The investigation will be forwarded to the Sacramento County District Attorney’s Office, and a determination of charges will be determined by the District Attorney. Nicholas Scott was arrested for murder and booked into the Sacramento County Main Jail. He is currently ineligible for bail, and is scheduled to be arraigned in Sacramento Superior Court on May 4, 2017. No Comment to " Arrest Made in Rio Linda Stabbing Death "